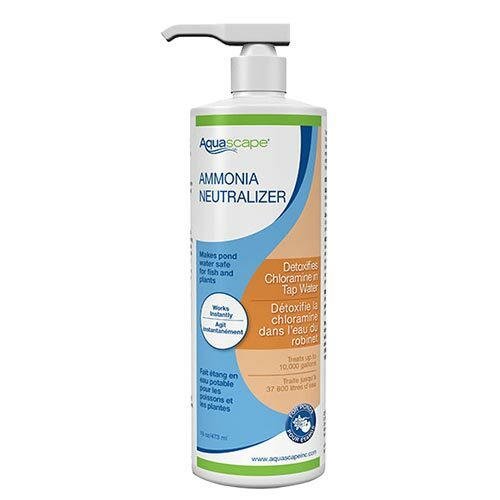 Aquascape Ammonia Neutralizer makes pond water safe for fish and plants by detoxifying chloramine and neutralizing large concentrations of toxic ammonia. It is important to eliminate any toxins in your pond water to ensure the health of your fish. The easy-to-use pump top accurately measures 100 gallons of treatment per pump. One bottle treats 10,000 gallons (37,800 Liters). Aquascape is passionate about the products we produce, providing unique products, designs, and features that stand above the competition.